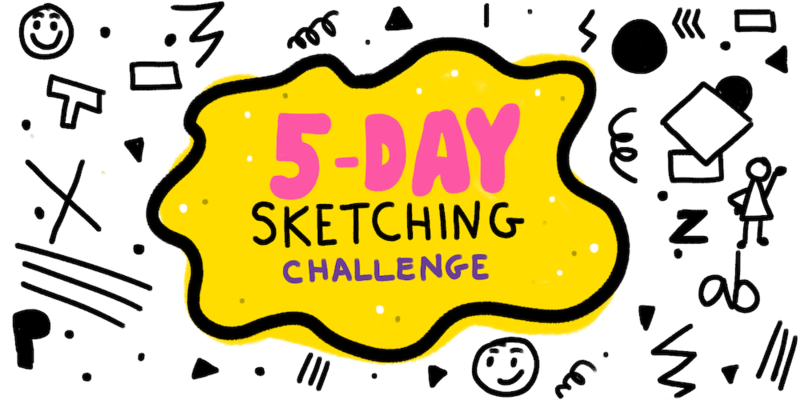 5-Day Sketching Challenge - It's Live! Are you new to sketching and don’t know where to start? Try my new 5-day Sketching Challenge. Each day you will receive a new challenge straight to your inbox. You will be able to complete each challenge in under 15 minutes, so you can fit it into your daily schedule. Start your sketching journey today. Sketching is a tactile activity. The shape and feel of the pen and the smoothness of the paper combine to make your sketching experience good or great. The smoother the experience the faster and easier your ideas will flow from your mind to the paper. 👋Hi friends! I'm putting the final touches on a 5-day sketching challenge for those wanting to jumpstart or get back into sketching. I need some BETA TESTERS to make sure it will be a fun challenge. Have you ever thought to yourself I’m a designer, not a writer, I don’t need to write? I used to think that way. Anytime I had to write, I would rush through it because I thought that writing wasn’t a skill that designers needed. I would rationalize my lack of writing skills by telling myself that designers designed, they didn’t write, after all my designs would speak for themselves. One down many more to go. I just finished my first book of 2019. Here is my book review for Jake Knapp and John Zeratsky’s latest book Make Time: How to Focus on What Matters Every Day. I’ve just returned from a few days layover in Istanbul. My most memorable experiences in Istanbul were eating the delicious kebabs, seeing the ice cream performers, and seeing the grandeur of Hagia Sophia from the inside.